Our Local Hero for January is a staple in his community of Shelburne, Ontario: Dave Metz. 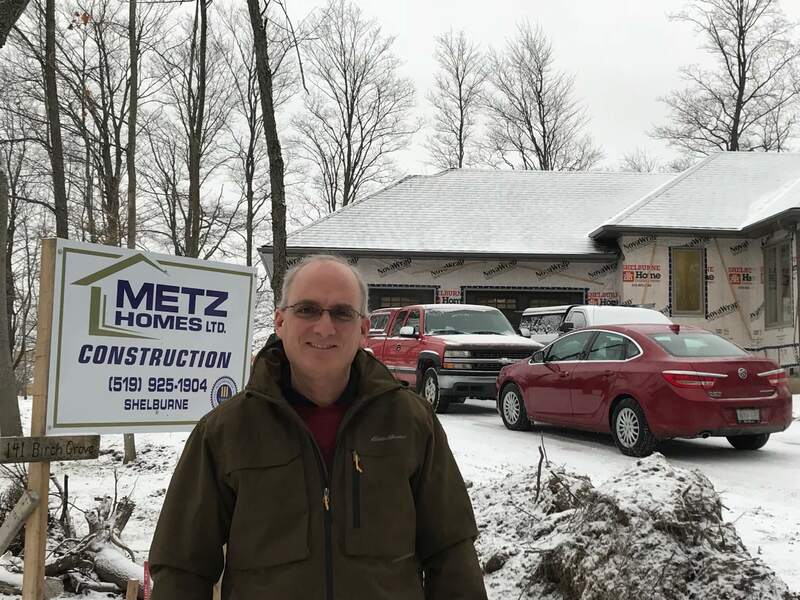 Dave Metz started Metz Homes in 1988 as a father-son partnership. His father, Ted Metz, an architectural draftsman, had the technical skills required for building custom homes, and Dave had the construction background to bring his dad’s plans to life. Lois Metz, Dave’s wife, joined the duo to make sure their books were in order and keep the father-son team on track to ensure clients received the best possible experience when building their dream homes. The business began with speculative houses, developed on their own land and then sold to homebuyers. Then, Dave saw an opportunity to take their business to the next level by building custom homes for clients. In 2018, Metz Homes continues to focus on custom builds for their clients, and is pushing the needle to bring a more sustainable approach to home building, construction, and comfort. Dave’s philosophy is simple, if they can decrease the average energy use by 10-15% for all of the homes they develop, it will compound over more than 100 homes they develop and over the course of time they can contribute to a more energy-efficient region. A father to two children, Jordan and Lindsey, and husband to Lois, Dave is a community-oriented, family man, and important entrepreneur in Shelburne and Dufferin County. President of the Board of Directors for the Shelburne Curling Club in the 90s and the Volunteer Project Manager for the Club’s Trillium Grant renovation in 2007 and 2012, Dave has helped to lead the Curling Club because it provides a great place to bring community together. Dave is now, once again, an active member for the Club’s Board of Directors. Dave, The Ostic Group thanks you for being a local hero.